MANILA, Philippines - Hallyu star Kim Hyun Joong has decided to withdraw from his comeback TV drama following a dispute between TV station KBS and a production company. The actor and singer was supposed to star in "City Conquest," which would have been his first drama series in more than two years. His agency Key East Entertainment said it was talking to the production team about this and regretted that Kim Hyun Joong would leave the drama. “We are in the process of withdrawing from the cast of ‘City Conquest.’ We’re currently talking with the production team to find the right timing to leave, but he will be leaving. We’re very sad to have him drop ‘City Conquest’ as it was an opportunity for him to greet his fans through the small screen. 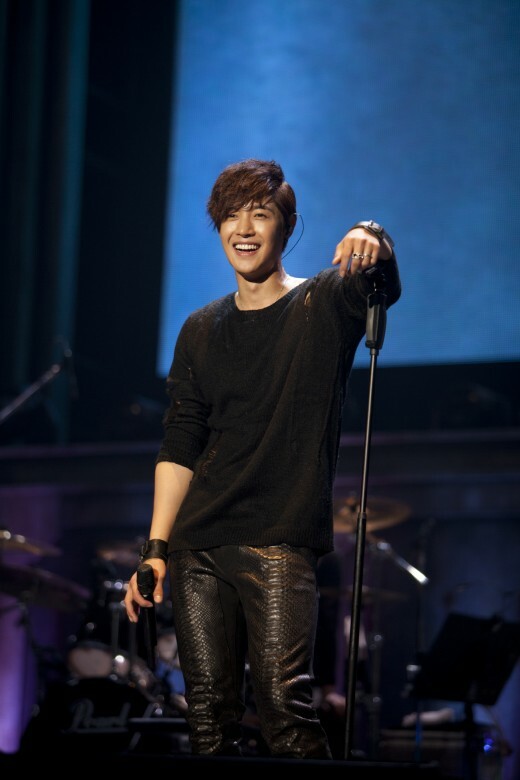 Kim Hyun Joong is scheduled for a Japanese tour until March. For now, he will be focusing on his activities as a singer," said an agency representative, according to Soompi. Kim Hyun Joong had already filmed for "City Conquest" last year and even held an event in Japan last October to promote the drama. The producers have already sold the rights to air the drama in Japan, Hong Kong, Taiwan and China. "City Conquest," which was produced at an estimated cost of 4 billion won (P149 million), was supposed to air on KBS but the TV station rejected it, saying that it contained too much violence. Last month, KBS decided not to include "City Conquest" on its roster of dramas for this year. The producers of the drama claimed that KBS rejected the drama because the violent scenes would not do well with the inauguration of South Korea's new president this month. "The executives of the KBS drama center said the reason we were not given a time slot was because, though the quality of the drama′s content and its business value is high, its violence does not fit the mood of the launch of Korea′s new government," said Media Back in a statement, according to ENewsWorld. The production company said it yielded to the demands of KBS to replace actors and screenwriters and edit the script. "Soon after, however, a new president was appointed to KBS and he replaced the drama center executives, after which we were told through an unofficial route, as if they were tossing us aside, that we would not be getting a time slot," said Media Back. KBS denied that it rejected the drama for political reasons, saying that "City Conquest" was shelved because of its poor script and violence. With "City Conquest" out of his schedule, Kim Hyun Joong will be focusing on his singing career. Kim Hyun Joong will be flying to Brazil this month to take part in the "2K13 Feel Korea" event to mark the 50th anniversary of Korean immigration to the country. The star will perform at a concert on Feb. 24. together with Ailee, Baechigi and Ongals. The next day, Kim Hyun Joong will be in Lima, Peru for a fan meeting.